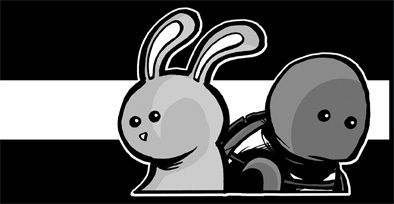 In today�s strip we see the return of one of my favorite things about the the original race. Pictograms! I had a blast having these guys speak in drawings, even during the times when they got a little too complex for people to make out. I stand by the thought that figuring out what they�re saying is half the fun of the strip. If it were just written out as text, these noiseless creatures would lose part of their charm. 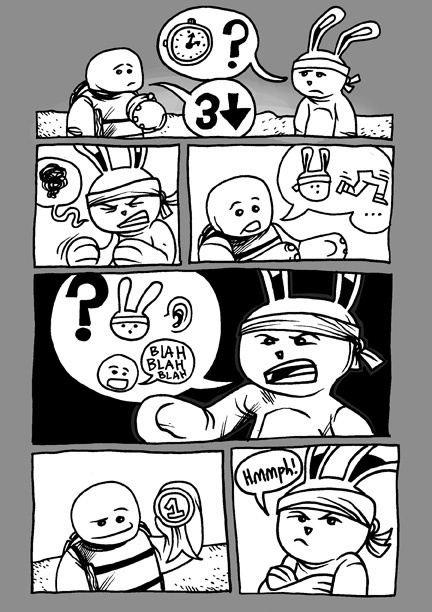 Not much story developing today beyond Turtle reminding Bunny who won that race they ran last year, and Bunny�s none too happy about it. 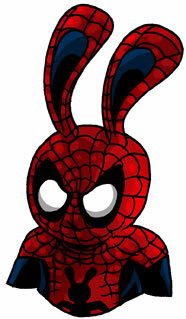 Do you think today�s image of him as Spider-Bunny will make him any happier? I�d like to think he�s smiling underneath all that spandex.